Fundamentally, the way most websites gain high rankings on Google is from having an influential URL which has a search engine optimised article on it. There are many ways you can make sure your URL is influential online (such as through gaining dofollow backlinks etc.). However, today, I will be looking at how you can automatically SEO your articles. To gain the number one sport on organic search results on Google, you need to SEO articles. There are programs out there that can help you do this. But, I have always found that the best articles come from people that naturally SEO their articles. The problem with using programs to SEO articles is that they tend to make the article sound robotic. This will move people away from your article as, for web users, an article that sounds like a robot wrote it will be quite dull and boring to read. 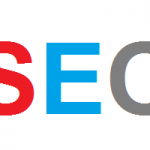 Below are a few ways you can make sure you SEO every article of yours without any program. It’s just you and the article. A summary of the article. Keyword rich – To do this, use a spider diagram to write down the keywords associated with your article and try to include most of them without sounding like you are trying to (for example, don’t mention PPC over and over again in a PPC tips article to gain better SEO as it will sound robotic). Use correct grammar and vocabulary. Search engines really condemn articles that have spelling mistakes and bad grammar. Make sure you always proof read your article once you have finished writing it. Just like this article, you should be using headings throughout your article which have keywords associated with your article in them. It is then wise to include content after the heading which expands upon the headings title. Search engines can actually distinguish the difference between headings and normal content. Therefore, make sure you do not use irrelevant headings. An image will work wonders for your article both in optimising it and gaining extra traffic. From adding an image, you will have opened your article up to being viewed on image search results (which people do use to find articles!). Some of my articles on AskWillOnline.com actually gain more traffic from image results than normal search results! As well as this, you should always try to include a few internal links to other areas of your website within the article. 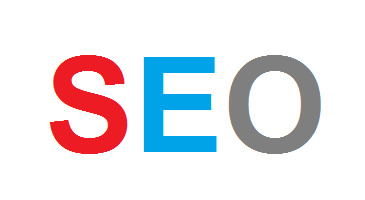 This will help significantly in improving your SEO because a link in an article has a lot of value for search engines. This is why when people guest post, you often find they want a link to their own website. It’s their way of payment for the guest post. By including internal links in your article, you are creating a spider-web of articles that search engines can process and add to their database. The bigger the ‘spider-web’ of articles linking to each other, the better. You may also want to look at [How to] Search Engine Optimise a Webpage which looks at how to SEO the title of a webpage. PPC Search Advertising – Why It’s a Good Marketing Method?